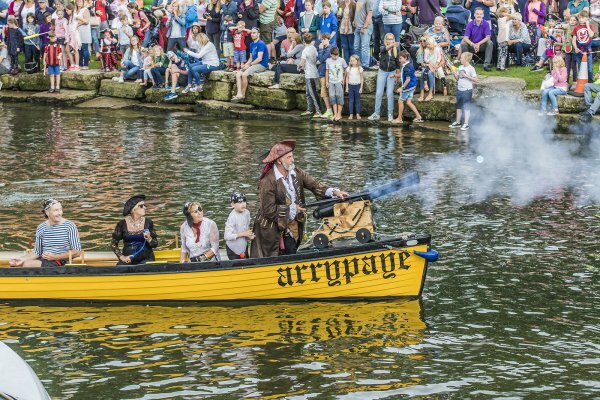 Our Pirate Invasion is back! 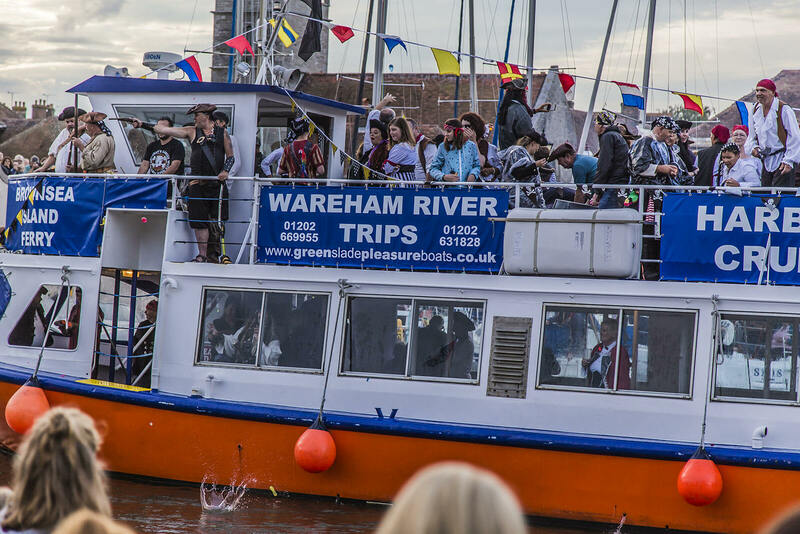 Wareham Wednesdays welcome back the big Pirate Invasion! 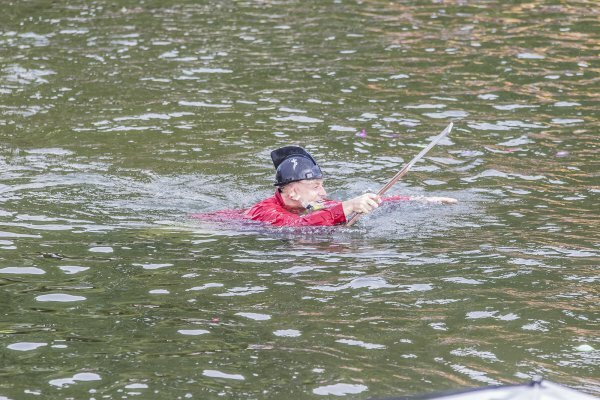 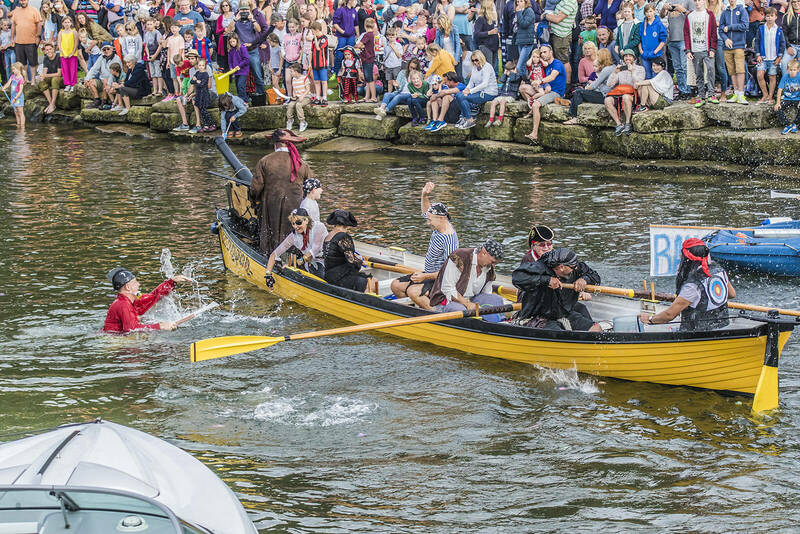 If you were there last year, you’ll know how much fun it is and wet you get! 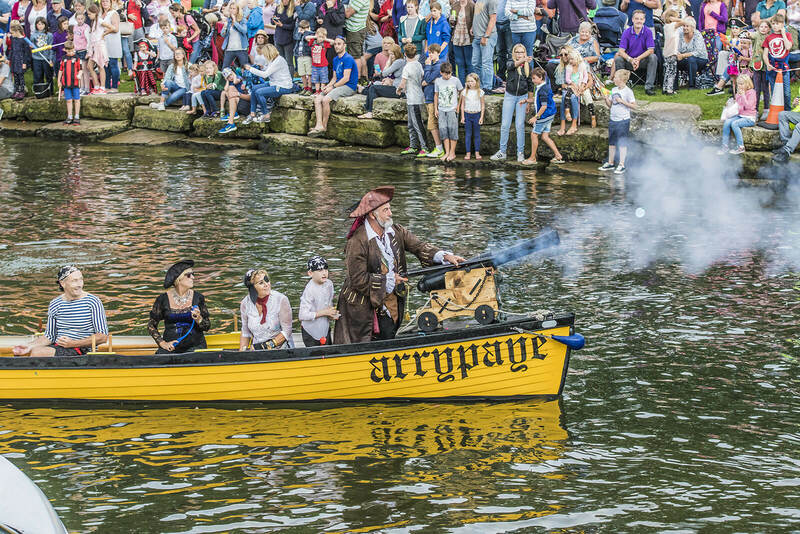 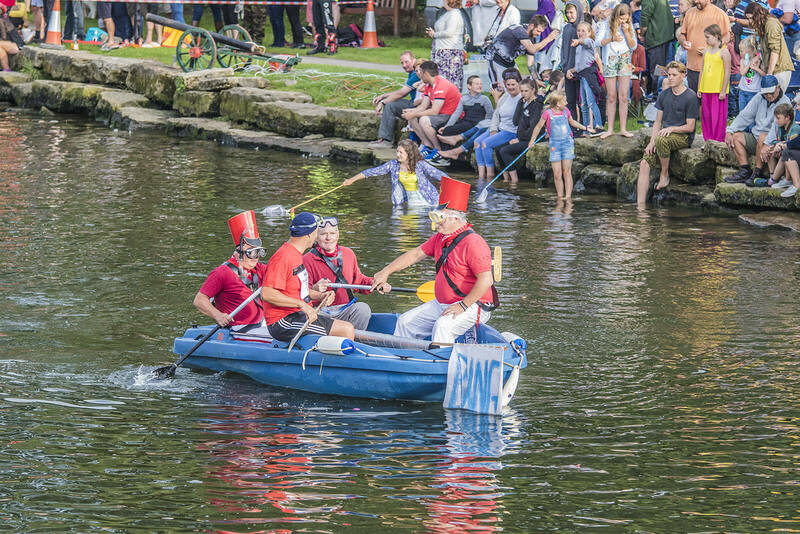 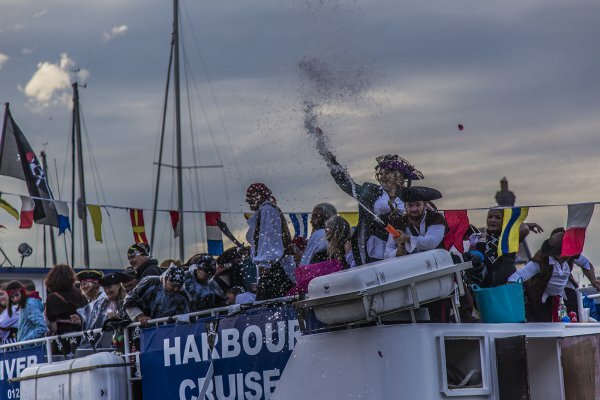 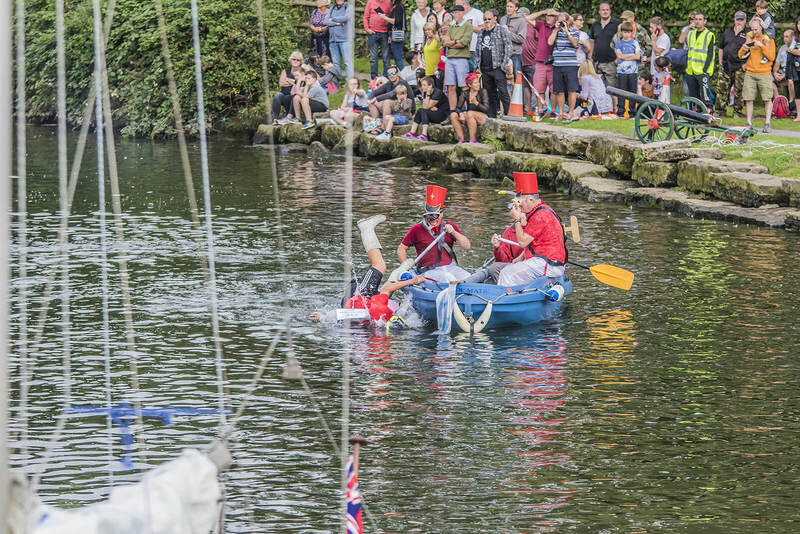 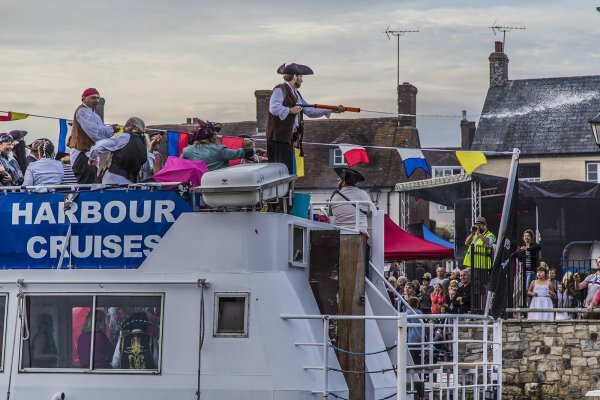 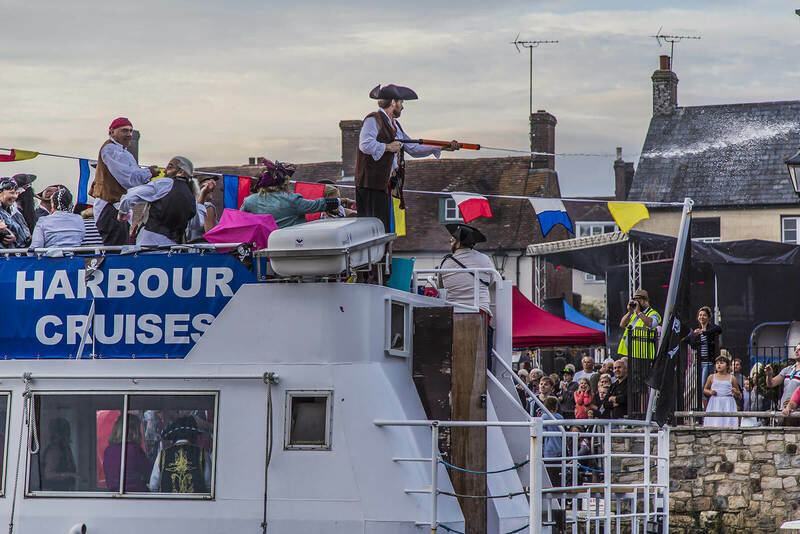 We promise another great event loaded with pirates, fun on the river, cannon fire and even more family entertainment. 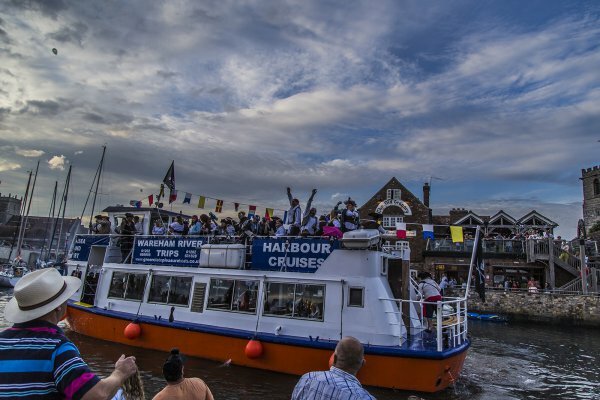 The Invasion can start any time after 7 pm, Wednesday 22nd August. 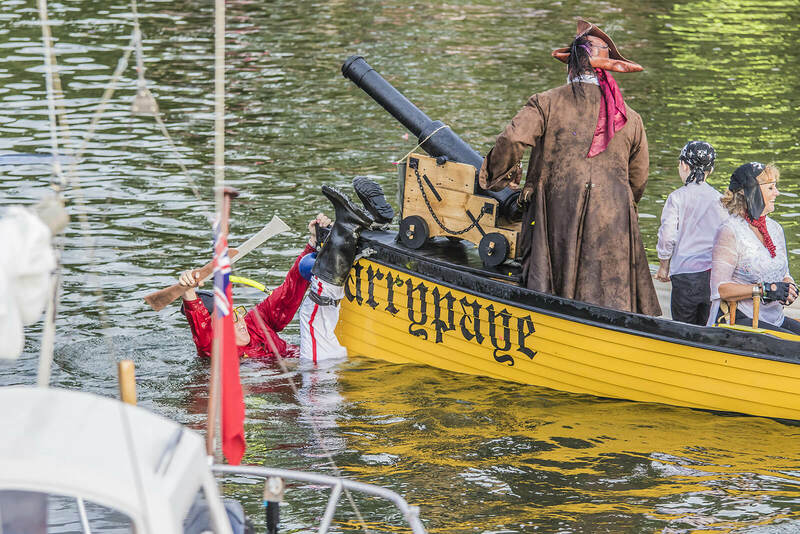 You can expect a great time watching the pirates invade the quay. 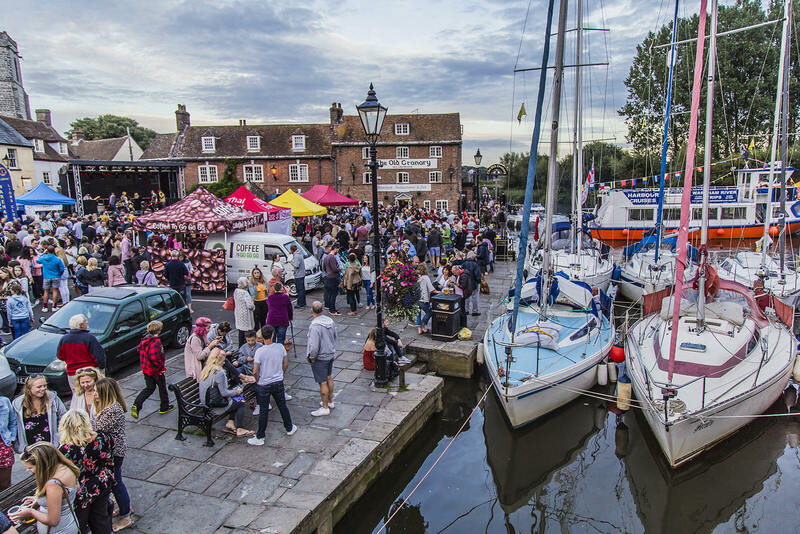 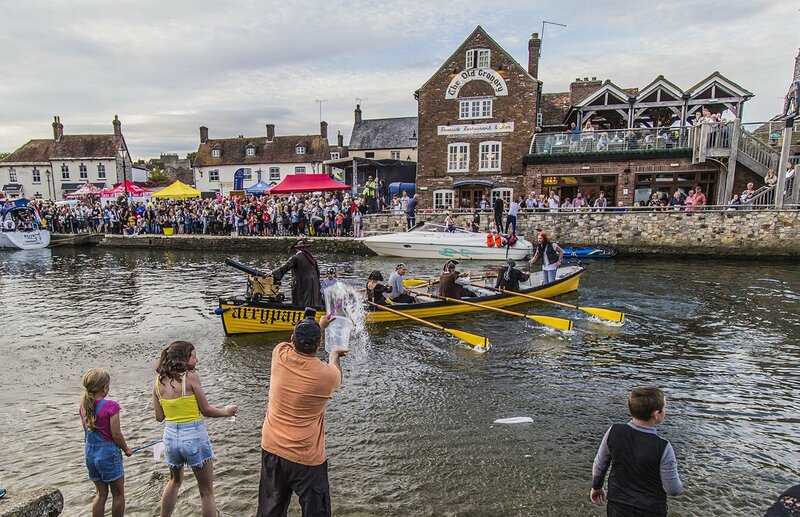 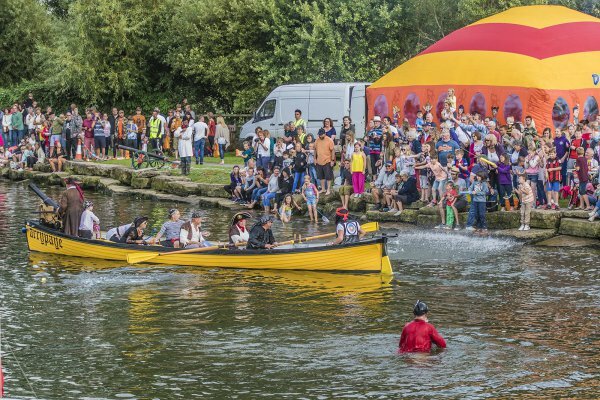 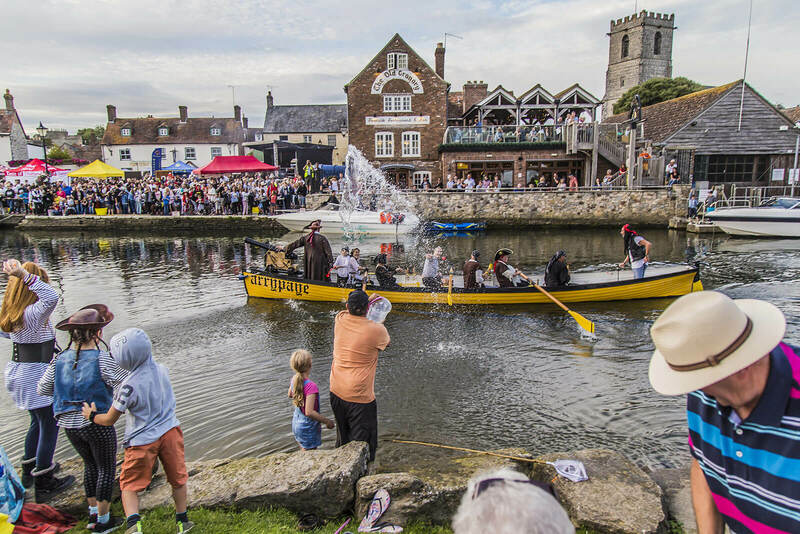 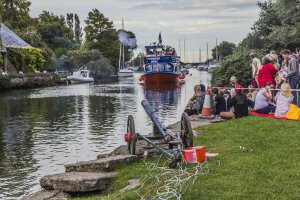 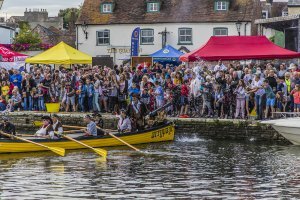 As standard, Wareham Wednesdays provides free entertainment with live music, stalls, fireworks and more. 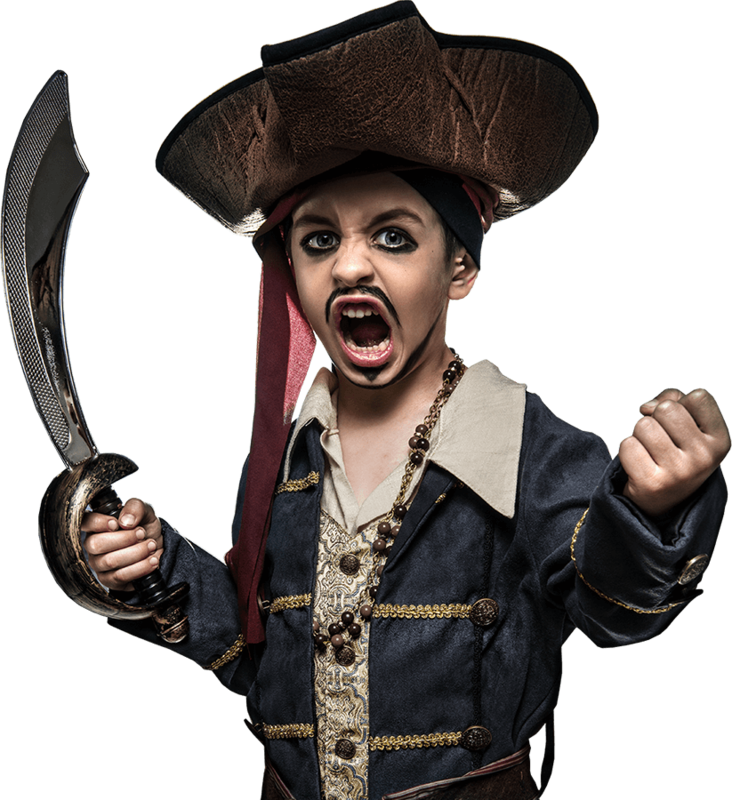 Please feel free to dress your nippers as pirates too! We would like to avoid water balloons this year as they do pose environmental concerns. 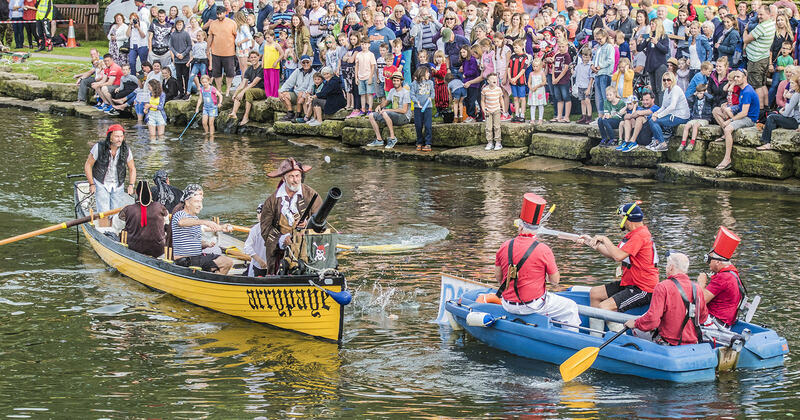 Please bring water guns if you have them. We will have a few on sale too. 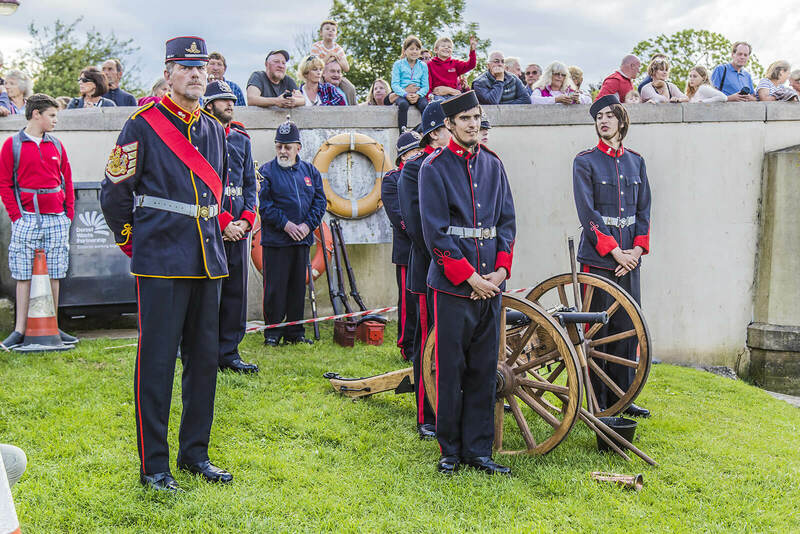 There will be a cannon display which does feature a few loud bangs. 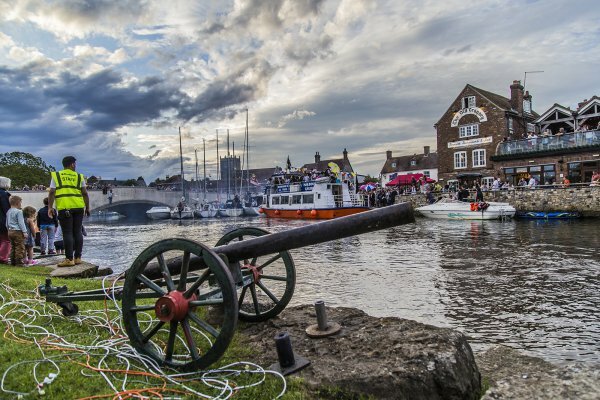 Please consider ear protection for young children. You will be able to purchase earbuds from our BBQ and Bar if needed.